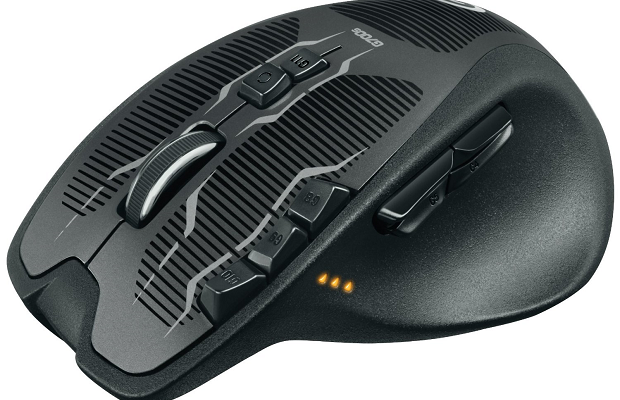 Logitech’s G700s gaming mouse is a beast. Covered in a variety of buttons, wheels and doodads, the mouse is definitely an odd looking creature. The most striking feature, however, is the $99.99 price tag. Many of you may be thinking, can a mouse really be worth that much money? To a select few, the answer is a definite yes. Just be sure to take a long look at the extra functionality it provides, and decide if you’ll actually take advantage of all the slick features. Logitech has definitely taken the kitchen sink approach to the G700s. Boasting 13 programmable buttons, the device might look like an over-designed monstrosity at first glance. But what matters is the level of customization this gives the G700s. Five programmable profiles can be saved to the mouse itself, creating an absurd variety of key bindings available at the touch of a button. If any one aspect of the mouse justifies the $99.99 price tag, it’s the sheer number of available options at your fingertips at any given time. The only question to consider is if you have a use for them. But before we go any further, let’s breakdown the technical aspects of the G700s. Glowing praise aside, the main downfall of the G700s is the mediocre battery life. Both wired and wireless options are available, as the product comes with a myriad of wires and dongles, allowing you to charge the wireless receiver and mouse simultaneously. After a solid day of using the G700s to its fullest capabilities, I was already receiving warnings of low battery life via the mouse’s convenient display along its left side. Solving this problem is simple enough, as the charging wire is of more than adequate length, but it’s still a oddly glaring mark on an otherwise well-made piece of machinery. As far as comfort is concerned, the G700s feels like most other devices with a similar form factor, but with a few intriguing differences. Most importantly being the dry grip applied to to its sides. While the texture takes some getting used to, it provides a very subtle yet effective level of friction. Overall, the G700s just feels comfortable, but it could benefit from tuning weights like many of its contemporaries. As someone who prefers a heavier mouse, I wish the device had a bit more heft, but the G700s is still solid nonetheless. The only real factor to consider when looking at Logitech’s G700s is how much you’re willing to spend. $99.99 is a lot to ask for a mouse, even one advertised as a high-end gaming device. An amazing level of customization will be at your fingertips, but if you have no need of multiple profiles or buttons stacked upon buttons, look for a cheaper alternative. However, for those looking for an almost overwhelming level of personalization, and those with a good bit of cash to drop, the G700s is a damn fine mouse.